Some of my earliest memories are of my darling mother singing to me while wrapped in the security of her arms. The sweet nursery rhyme “Los Pollitos” always reminds me of the feeling of being cocooned in her love. 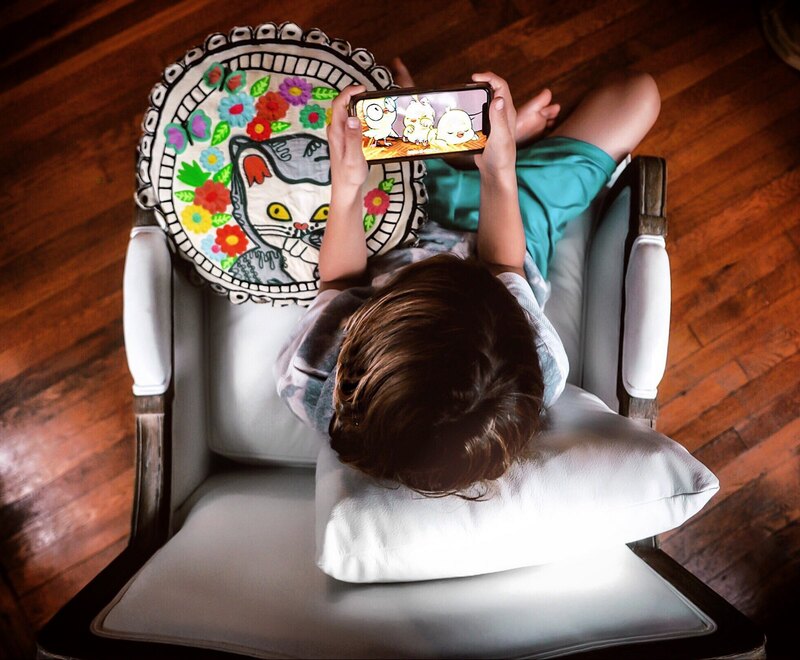 Now that she’s gone back to her country in South America (perhaps as a snowbird, or perhaps long-term) – it’s crucial for me to look for avenues to celebrate and keep her culture and influence present in the lives of my own kiddos – especially when our communication is via a phone or a screen. 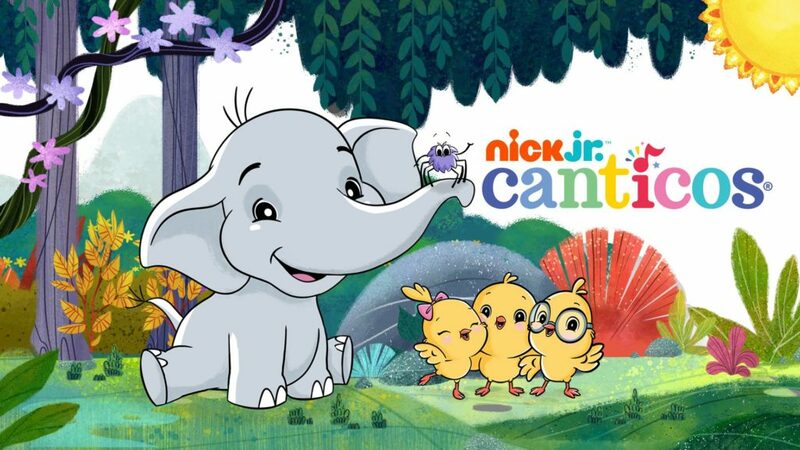 It’s been such a joy to explore Canticos’ bilingual nursery rhymes through Nick Jr. on YouTube and on the (free!) Nick Jr. App. 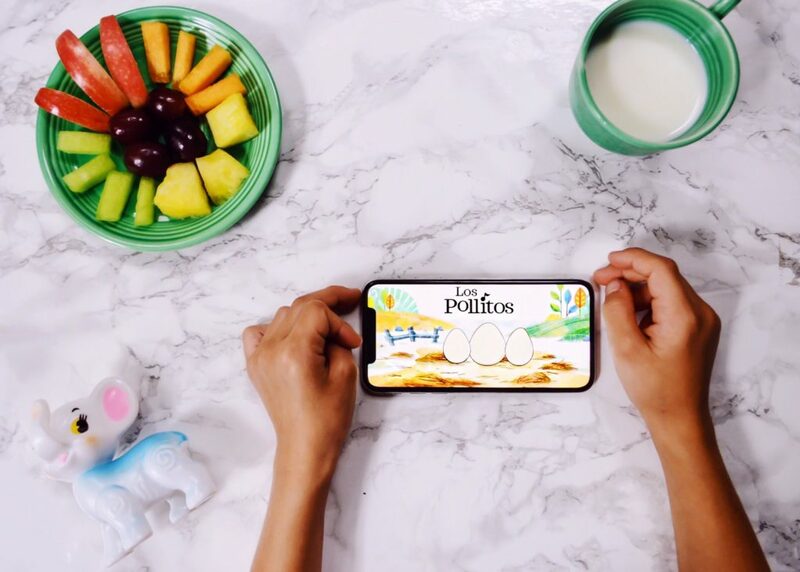 When I spotted an image of three delightful little chicks on the Canticos’ app, I just knew that it had to be “Los Pollitos”! I love how Canticos first presents nursery rhymes in Spanish (with the lyrics displayed at the bottom of the screen) and then in English too. Would you believe this was the first time that I heard the English version of this special song from my childhood? It is so beyond beautiful (and fun!) to get to share it all with my children. A few of our other Canticos’ current favorites are “Estrellita”, “Elefantitos” and “Sol Solecito”. I can’t tell you how excited it makes me to see Nickelodeon’s commitment to providing, culturally relevant, engaging and educational content in a bilingual format – especially during Hispanic Heritage month. Canticos delightfully pairs classic nursery rhymes from all over the Spanish-speaking world with adorable animal characters to create educational music videos. The team behind Canticos is dedicated to telling authentic stories pulled directly from their own personal experiences growing up with these songs and characters. As a mom, Canticos lets me access tangible ties to my past through memories treasured in songs to share with my children. And I love how their mission is to ignite and advance creative thinking in kids everywhere through storytelling and the power of play. Canticos is also a fantastic way for all kids to learn and practice simple vocabulary words, numbers, days of the week, and more – both in English and Spanish.